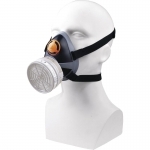 Respiratory personal protection equipment to protect from aerosol particles or gaseous substances present in the air in dangerous for health concentrations. 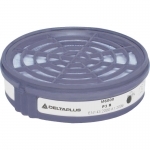 This section contains disposable anti-dust respirators (with exhalation valves or without) produced by Delta Plus and 3M, reusable 3М and Scott half and full facemasks with replaceable filters for universal protection from dust, mist, fume and gas or vapors. 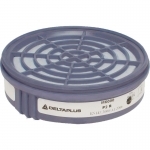 Ukrprofzahyst company is a specialized distributor of respiratory protection equipment produced by Delta Plus, 3М and Scott. 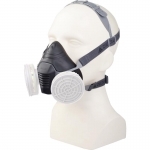 Here you could buy disposable FFP1, FFP2, FFP3 dust respirators, reusable half or full face pieces with replaceable dust or gas filters and receive a qualified help on their selection. 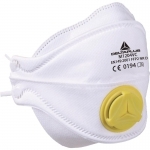 Dust is usually generated when hard materials are processed or ruined. 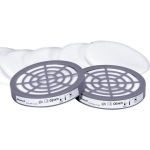 Fine dust particles smaller than 5 µm can reach lungs and provoke serious illness in the long run. Pollen, dandruff of animals and other allergens can provoke allergic reactions that influence negatively quality of life. Fine droplets the size of about 1 µm are formed when liquid materials are sprayed. Burning solid or liquid materials, molten metals generate smokes that are composed of fine aerosol particles the size from 0,1 to 1 µm. 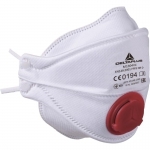 Particulate respirators can protect respiratory system from solid or liquid aerosol particles. 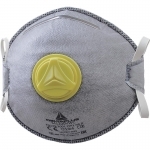 Such respirators may be disposable (for use during one working shift) or reusable (with changeable filters and a possibility to clean respirators after use). 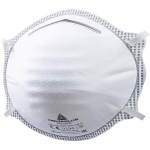 Disposable dust masks shall comply with requirements of EN149 standard and depending on their protective efficiency be marked FFP1, FFP2 or FFP3. 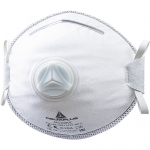 Half and full face masks with changeable particulate filters shall comply with requirements of EN136, EN140 and EN143. 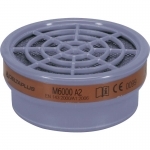 Particulate filters for use with reusable masks may be marked Р1, P2 or P3 depending on the filtering efficiency. 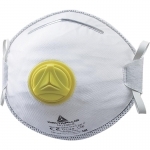 Half and full face masks equipped by gas filters are often used to protect from gases and vapors. 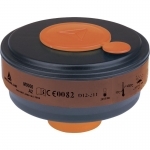 Filters shall comply with EN14387 and be marked in accordance with the types of gas/vapor they protect from. 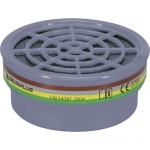 Organic gases and vapors (A), inorganic (B) and acid (E) gases, ammonia and its organic derivatives (K) filters are more often used in manufacturing. 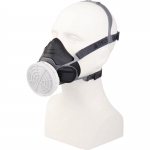 It shall be noted that such respiratory protection products may only be used for protection from those gases and vapors which have good warning characteristics. Meaning that their presence can be identified by smell or taste at concentrations below OEL (occupational exposure limit). 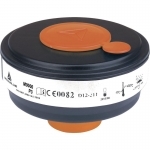 A gas filter shall accompanied by a particulate filter for a combined protection from gas / vapor and solid / liquid aerosol particles (for example, in spraying solvent based paints). 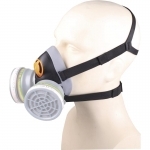 Ukrprofzahyst internet shop offers high quality respiratory protection products. 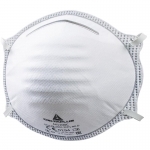 You can order and purchase respirators, half masks, filters in retail or wholesale quantities with delivery within Kyiv and Ukraine.